Haley's Top Picks for March! This month, I was particularly inspired by a handful of collections that I'd like to highlight and share with you, in hopes that you'll feel as joyful and excited about these beautiful collections as I do! I could easily speak fondly of every ForeverFiances collection, but for the sake of simplicity and the spring time, these are my favorites for March! My new favorite is, without a doubt, the Romantique collection. If you're browsing the website, definitely take the time to check this one out. It is a unique blend of sophistication and energy that will appeal to those who want to convey class and color with ease. The awesome thing about this collection is that it can easily be used for a variety of occasions. The first time I saw it, it was a wedding invitation. That being said, it can flawlessly transition to a Save the Date, a Bridal Shower, a Graduation Announcement...you name it. The text filled in with a background of colors and flowers makes it versatile, beautiful, sophisticated, and fun! 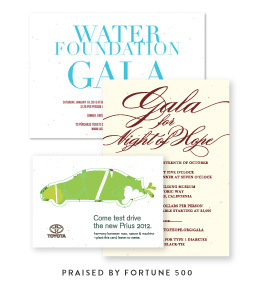 This invitation, like all of the ForeverFiances collection, is eco-friendly. Plus, the full stationary line is available. That's right! Classic invites, Thank-You cards, and it's even available as an All-In-One! It is at its best when printed with a linen finish, and quite frankly, the linen completes the look perfectly. 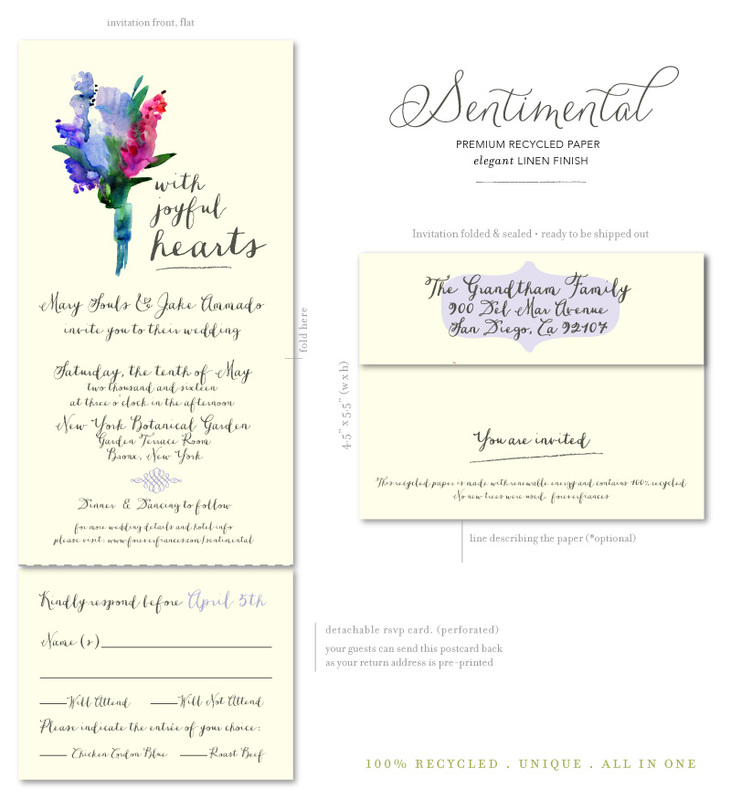 Another one of my March favorites is the Sentimental collection, which features a delicate watercolor flower bouquet accompanied by the sweet introduction of "with joyful hearts," scripted in a personal, delicate cursive. This collection's simple elegance appeals to me the most. 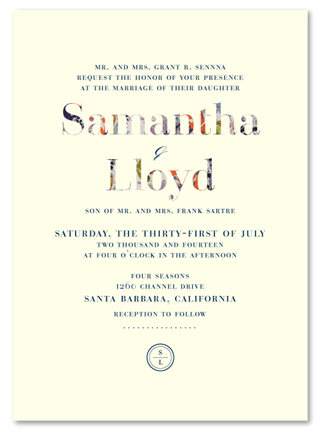 While invitations are often filled with designs to focus on, I think this invitation's font and bouquet accent is its strength. The text gives it a very personal, handwritten feel that is perfect for a wedding outside, surrounded by nature. 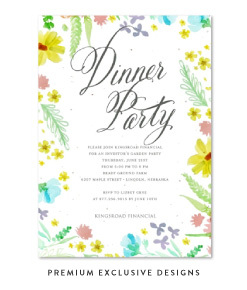 Whether the location is a garden or a backyard, this invitation captures the vibe perfectly. Like its Romantique counterpart, the Sentimental collection is available on any piece of stationary on any paper, recycled or plantable! If you're going for a personal, simple, and classy invitation, either of these picks will do the job with excellence! For hundreds more beautiful options, visit the Forever Fiances website and enjoy!